What a blur! The first day at NCECA was a blast. I spent a major part of the day in and around the vendor hall. I sat at the SIUC table for the afternoon, and spent the morning watching Expo Artist Talks at a number of the galleries in the expo. hall. 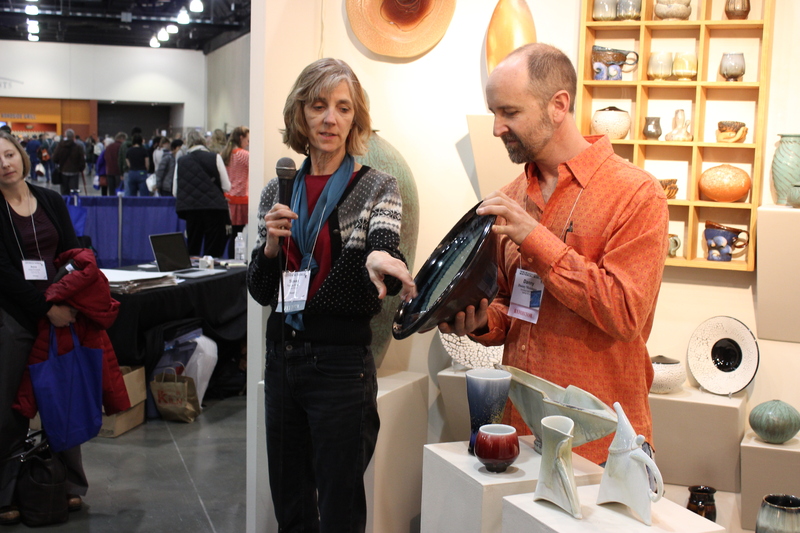 My favorite presentations were by Susan Filley and Danny Meisinger, of Spinning Earth Pottery. 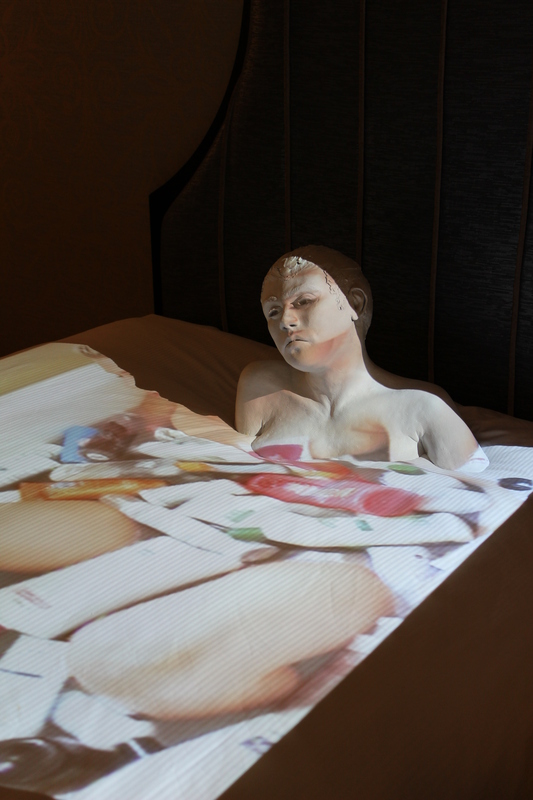 All the galleries were full of interesting work. I could have spent all day looking. Afterwards, I visited the vendors in the hall. I especially enjoyed the lovely examples of handmade brushes and the great examples of tools. 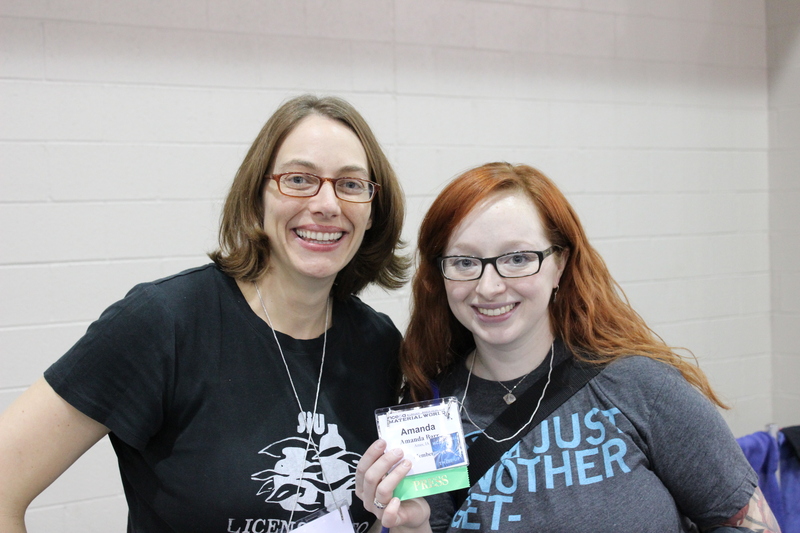 During the afternoon, I met fellow social media moderator Amanda Barr. Amanda authors the Tumblr for NCECA. We both attended the New Members Meeting in the evening, and then sat together for the keynote address. The New Members meeting was a great way to understand a little bit more about how NCECA works. The highlight was the introduction to the new NCECA app for smartphones. This app will be a part of NCECAs from now on. After a quick overview, I started using the app and already prefer it to the paper programs. Another benefit of the app is that the app is always up-to-date. For those of us still using the paper program, there is an important addendum included in the registration packet that shows those last-minute schedule changes. One of my favorite moments of the day was visiting a surprisingly well-attended pop up event in the Hilton. 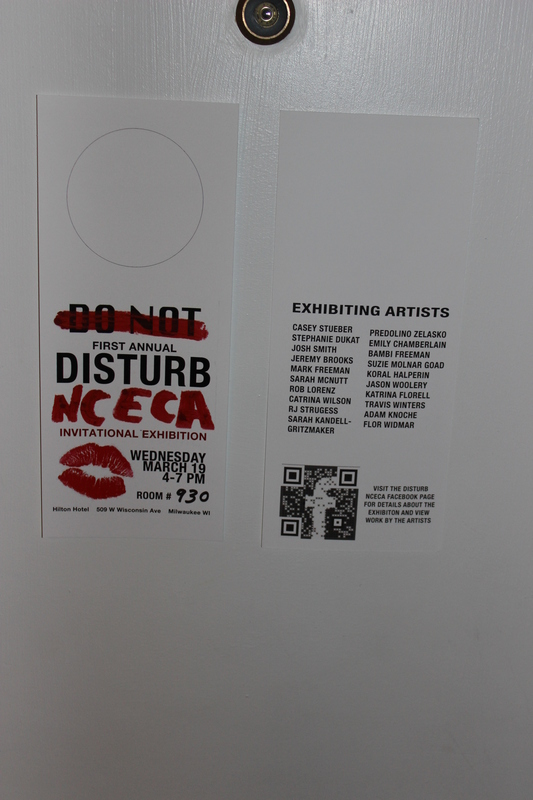 Disturb NCECA is a first annual show in a hotel room.